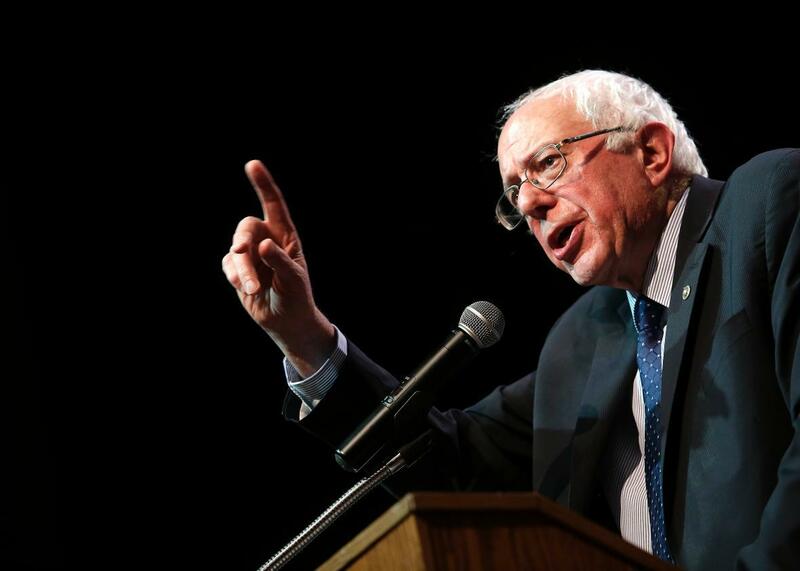 Bernie Sanders says Planned Parenthood is “establishment.” Is it? Bernie Sanders in Chicago last month. Are the HRC and Planned Parenthood, in fact, establishment organizations? The two have such different histories, communities of supporters, and places in contemporary American culture that it makes little sense to lump them together. Though a similar percentage of Americans support each organization’s best-known issue (marriage equality and abortion rights, respectively), the former is decidedly establishment, while the latter is not. Planned Parenthood, on the other hand, gets most of its hate from people who are opposed to its very existence, not from the people it advocates for. Organizations have made its destruction their primary purpose. Planned Parenthood workers and clients provide and access its services under constant threat of worsening harassment and violence, for which mainstream Republicans have all but held Planned Parenthood itself responsible. In addition to affordable reproductive health care, Planned Parenthood provides essential services to transgender patients, as noted by Black Girl Dangerous (one of the most unapologetically radical blogs on race, gender, and sexuality out there). By prioritizing care for the most marginalized people—poor and rural women, teenagers, women of color—Planned Parenthood’s mission is explicitly anti-establishment. In many U.S. counties, Planned Parenthood is the best or only community health center available; by providing health care to patients in poverty without regard for their insurance status, immigration status, or ability to pay, Planned Parenthood stands in defiance of the economic injustices Sanders has built his campaign to solve. Meanwhile, no Congressional committee is clamoring to grill the president of the HRC, as they have Planned Parenthood’s Cecile Richards. No votes have been taken to revoke the HRC’s nonprofit status, as they have of Planned Parenthood. The HRC has often been accused of prioritizing policies that, like equal marriage, yield the most significant benefits to the wealthiest, most privileged gays. The people Planned Parenthood serves are far less “establishment”: 79 percent of the organization’s patients live at or below 150 percent of the federal poverty line. Considering that Sanders didn’t even know the HRC’s proper name (he called it the “Human Rights Fund” on Maddow) it’s hard to imagine that he knows the ins and outs of the radical queer and anti-assimilationist arguments against it or the organization’s alleged favoring of white, cisgender men within its ranks. More likely, the statement was a knee-jerk defense meant to shore up the outsider complex of his supporters, who hold “the establishment” in equal contempt. “We’re taking on not only Wall Street and the economic establishment, we’re taking on the political establishment,” Sanders said to Maddow on Tuesday night. That Sanders would lump in two largely revered social-good organizations with the Wall Street system he’s promised to destroy is worrisome. It shows how little he knows or cares about the history and culture of these two organizations. In progressive circles intimately familiar with the differences between the HRC and Planned Parenthood, Sanders’ lack of distinction won’t win him any anti-establishment fans.